Hello again Villains! 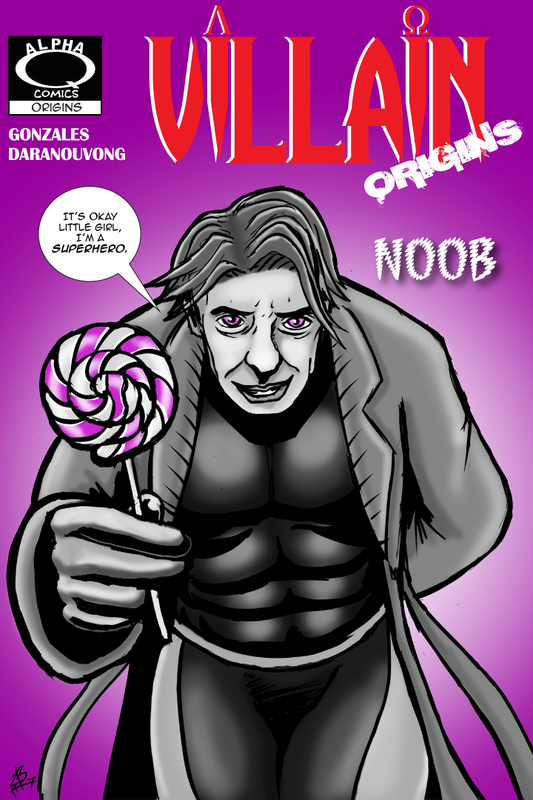 Today we begin our next exciting origin featuring none other than the shape-shifting “hero” Noob!! Now, if you have been a clever little villain you probably know where this is heading. If not, don’t worry, all shall be revealed soon. In fact, it’s about time to start revealing ALL the dirty little secrets and let them ALL be judged! With that Villains, it’s time for me to reveal my secret. My wife wrote most of Villain and I just put my name on it when she’s not looking. WOW, that feels good to get off my chest. Alright, time to get that woman to work. Till next time evil-doers! (readies carbonizing neualizer with mutate capacity surrpitiously) thanks mither!